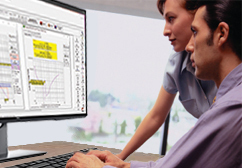 PowerCad™ brings you innovative electrical design software through ongoing research and development. PowerCad Software – established in 1991, with its affiliated companies being part of the building industry for the past 25 years – offers a range of electrical engineering design software and support services that are second to none in the electrical industry. Our continued commitment to research and development results in innovative design software solutions for the building services industry. PowerCad Electrical Software Products are specifically created for the building electrical services industry. Our software models residential, institutional, IT-building, government, commercial and industrial buildings. The PowerCad Electrical Design software product range offers solutions for the Electrical Contractor through to the Consulting Electrical Design Engineer. At PowerCad we believe in offering our customers quality leading edge innovative design software, backed by efficient service and informative support from qualified experienced engineers.